Sometime around 2 years, children start to refer to themselves using personal pronouns (I, me), and can label themselves in mirrors and photographs. They also start to show signs of feeling emotionally ‘self-conscious’, such as embarrassment and guilt. These natural signs suggest that the child has developed the capacity to think and feel things about themselves i.e. they have a self-concept. 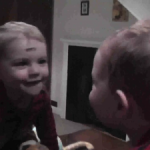 Experimental psychologists measure the onset of the self-concept with a test called the mirror mark test of self-recognition. 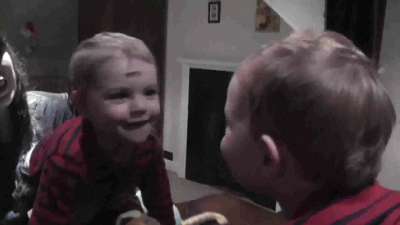 You can try this test at home by kissing your child on the head an leaving behind a lipstick mark, if your child shows awareness of the mark when you produce a mirror (by reaching for the mark, asking about it, or appearing embarrassed), you can infer that they have recognised the mirror image as self-referent, and therefore that they have a self-concept. If we ask young children to describe what they know and feel about themselves, we find their ideas of me to be few and concrete (e.g. referring to gender, hair colour). It is not until around 8 years of age that more substantial self-evaluations (e.g. assessments of dispositional behaviour, personality traits, and self-worth) are expressed in self-descriptions. Thus, the accepted view is that the self-concept expands throughout childhood; building from concrete self-knowledge to abstract evaluative reflection. However, it could be that young children simply don’t have the vocabulary to express abstract ideas of me. This is important, since beyond these self-reports, we have relatively little data on the development of the self-concept beyond 2 years. 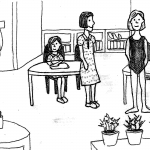 How would you feel if you went to school in your swimming costume? An important aim of our study is to substantiate the evidence for growth in the self-concept between 3 and 10 years. We are collecting children’s self-descriptions in free form and using a standardised self-concept measure, designed to support young children in reporting their thoughts and feelings about themselves (Harter & Pike’s (1983) Pictorial Scale of Perceived Competence and Social Acceptance). We are also asking children to anticipate their own self-consciousness. 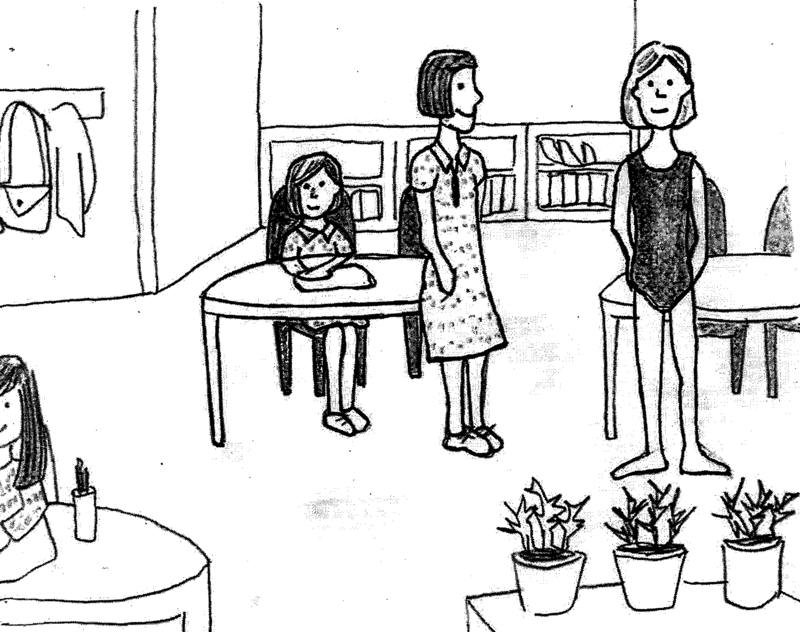 Children are told six stories in which the main character could be expected to experience self-conscious emotion (pride, guilt, embarrassment), and asked how they would feel in that situation. This is a relatively straight forward way to determine if a child is capable of ‘higher level’ self-evaluation. Crucially, we are also using self-memory paradigms as verbally undemanding tools to measure qualitative growth in the self-system between 3 and 10 years. As the self-concept expands, we would expect advances in self-reported self-evaluation to be reflected in the magnitude of higher level (self-evaluative) self-memory effects, whilst lower level (attention or enactment based) self-memory effects should remain relatively stable.